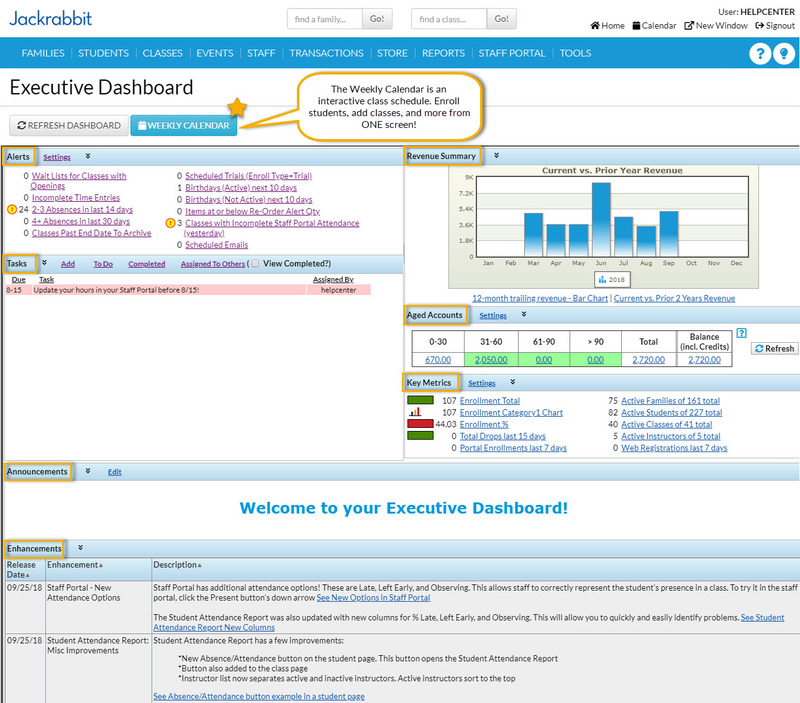 The Executive Dashboard is the 'starting point' after logging into a Jackrabbit Database. It is an awesome way to help keep management aware of critical performance indicators as well as make staff aware of tasks and announcements. Since the Executive Dashboard contains sensitive financial information, permissions may be set allowing users to only see portions of the Dashboard. Dashboard permissions for each user may be set using Tools > Manage Users & Permissions. Most Dashboard User Permissions are located under the General Category; however the permission to add tasks is located under the Tools category.